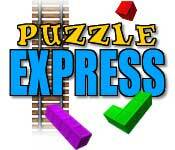 Puzzle Express - Place Pieces to Reveal Pictures, a Express Puzzle Game for you ! 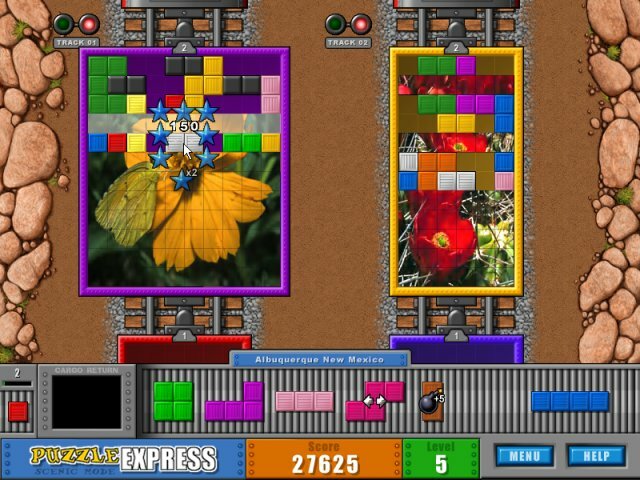 Express Puzzle Game - Puzzle Express Travel across the country loading up the Puzzle Express with beautiful pictures! 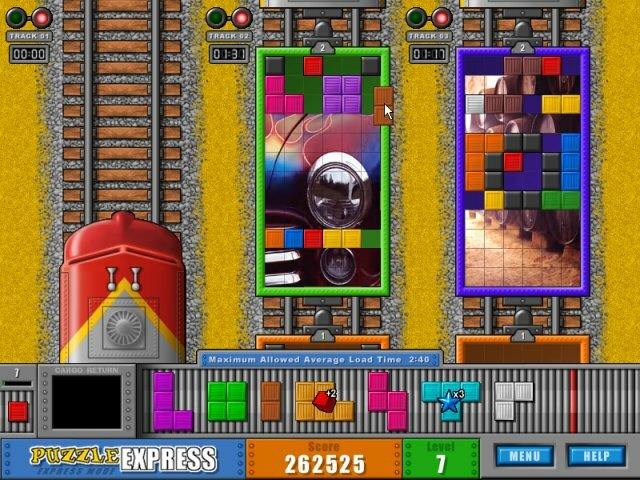 You'll need to grab the colorful puzzle pieces and place them together to fill up the train cars. The more you fill up the car, the more of the picture you get to see. Fill up the entire train and send it to the next city for a new batch of pictures! New pictures are downloaded automatically so you may never see the same picture twice! Plus, you can even add your favorite photos right into the game!. Two different game modes to enjoy! Save your game and resume later! Add your favorite photos right into the game! Line Game - A challenge to your brains Line Game! Aqua Words - A new word puzzle game with a well-known hero - Aquatic! A-PoP! - A puzzle game, inspired by the game 'E-Motion' deve loped by US-Gold in 1990 ! 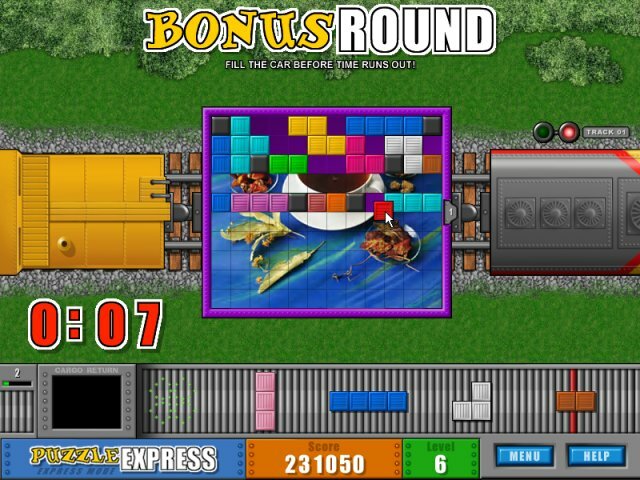 Absurd Atlantis Deluxe - A wacky puzzle game that combines puzzles, arcade action and strategic thinking to be successful! Breaker of blocks - The idea of the game is to move the blocks around the screen until 2 or more of the same block touch. Billy's Adventure - This game gives you lots of fun things beyond the basic hangman games available out there - we guarantee ! 3D Puzzle Game - A 3D puzzle game where you move various streams of flowing liquid so that the droplets get to their destination. Puzzle Myth - A totally new twist on classic puzzle game. Jewel Quest - Discover the ancient Mayan treasures ! Jewel Quest Game is one of a kind puzzle adventure! Aqua Bubble - Aqua Bubble Being unable to stop the bubbles invasion, Aquatic cried out for help. Bursting Bubbles Deluxe - Play Bursting Bubbles for delightful puzzle game entertainment and fun. B-Puzzle for Windows - The electronic version of the classic sliding puzzle game. ClickPuzzle - A fun arcade-style puzzle game for Windows. Chinese Puzzle - It is also called Chinese Sliding-Block is most famous and interesting thing of them. Fruits - A maddeningly addictive puzzle game with a casino flair.